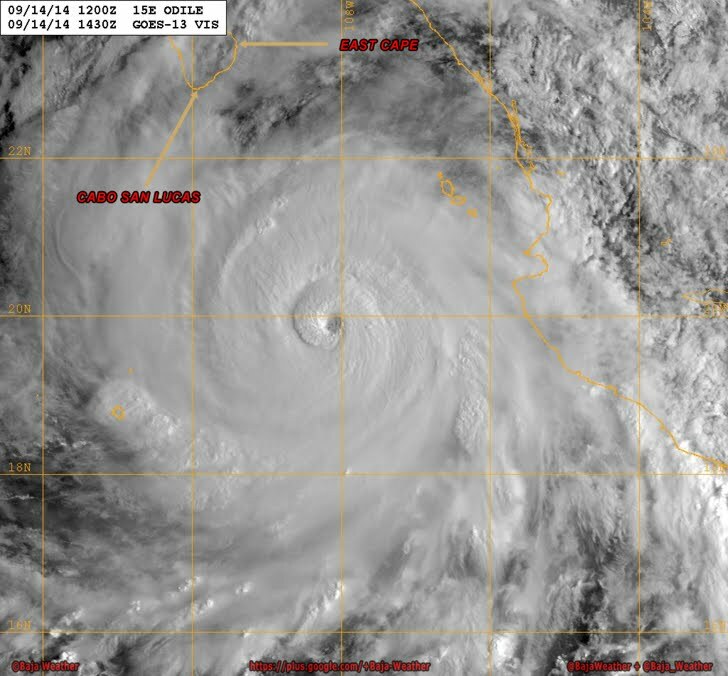 Hurricane Odile gains strength near Mexico's Baja peninsula. Heavy rains, high winds predicted for Sunday evening. The U.S. National Hurricane Center in Miami said Odile became a powerful Category 4 hurricane before dawn Sunday. Odile's core was predicted to stay out in the Pacific, but it was following a track that was forecast to take the storm's edge very close or even over Baja's southern end by Sunday night and into Monday. 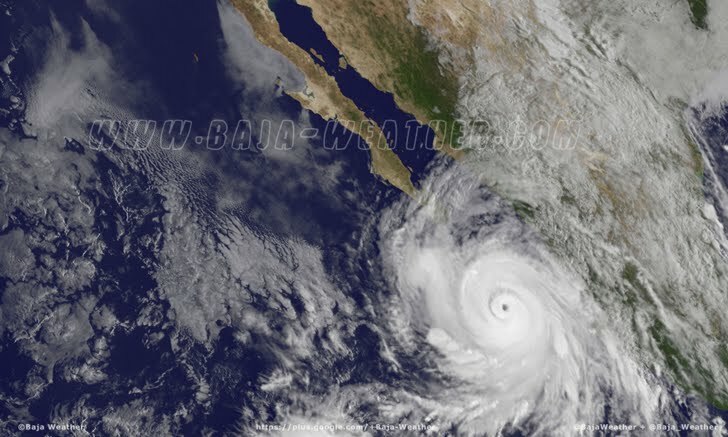 Mexican officials posted hurricane warnings northward along the west coast of Baja California from Puerto San Andresito to La Paz, and along the east coast of the peninsula from north of La Paz to Loreto. The storm's maximum sustained winds had increased to 135 (215 kph) by late Sunday morning. It was centered about 265 miles (425 kilometers) west of Manzanillo, Mexico and 230 miles (365 kilometers) south-southeast of the southern tip of Baja California. Odile was moving to the north-northwest at 14 mph (22 kph).